Providing custom resin kits in N and TT Scales with Z and HO Scale kits coming soon! Most vehicle kits consist of a solid one-piece resin body with separate wheels. 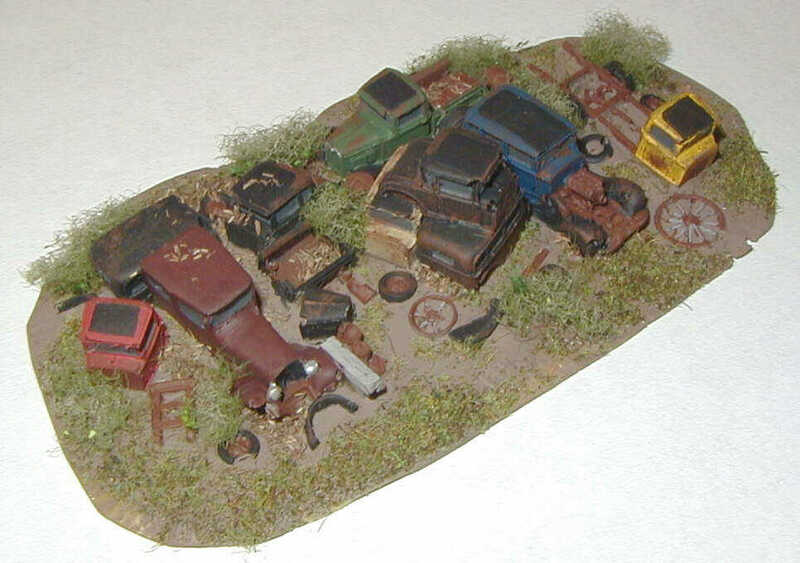 Junkyard castings are one-piece and simply need paint. Some very minor trimming & filing are needed as are superglue for assembly. Above are some new castings that are now available. 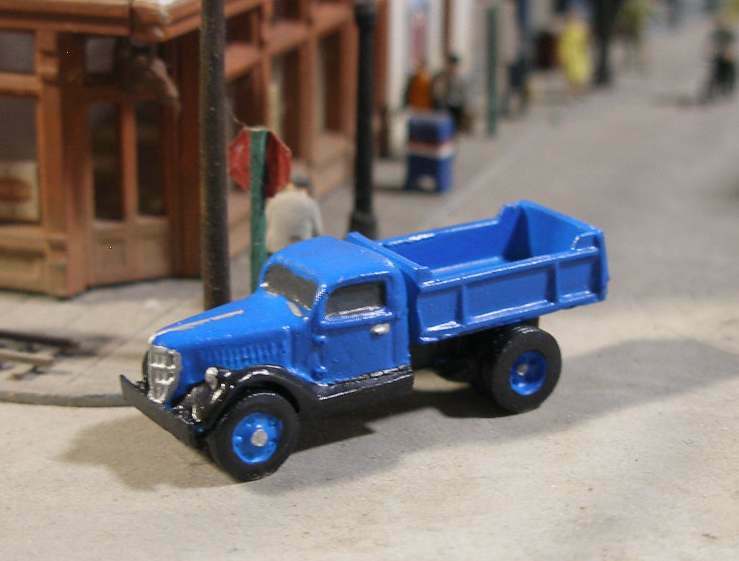 All vehicles shown above are $5.00 each except the dumptruck which is $6.00. 1957 Chevy 150 Station Wagon! 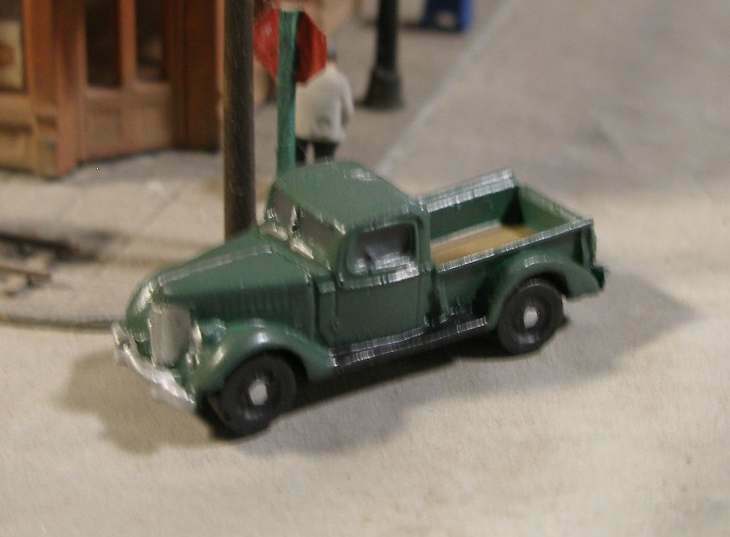 1930's Era N Scale cars are solid cast resin with separate wheels. 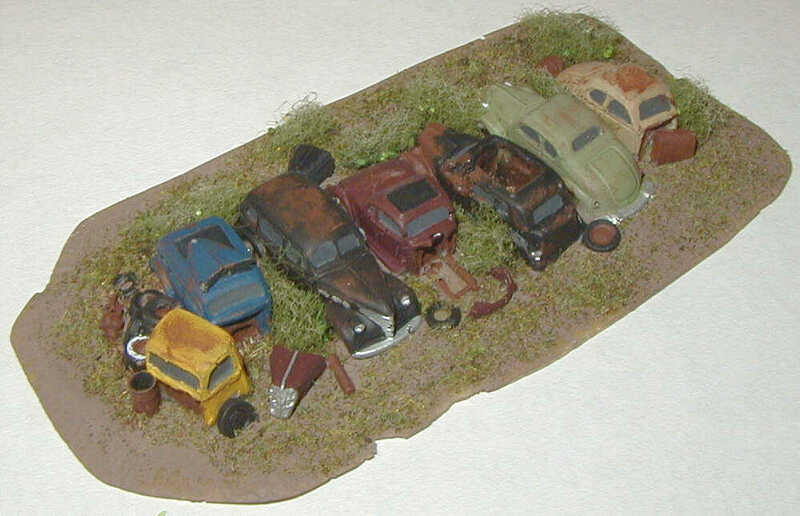 Junkyard dioramas are solid one-piece castings. All castings are available in kit form or painted. In the case of the dioramas scenery materials can also be applied. 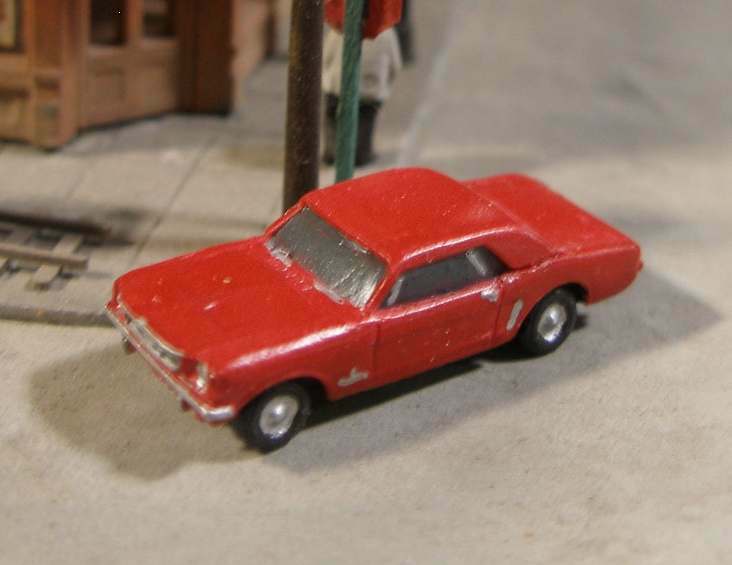 Prices for car kits are $5.00 each, dioramas are $12.00 each. 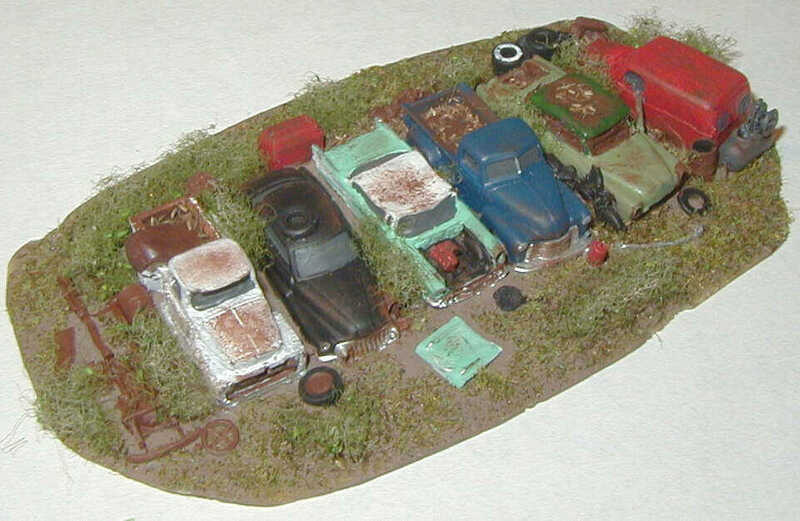 Built/painted cars are $15.00-20.00 each, dioramas start at $25.00 finished.Thanks! All vehicle kits are 1 piece castings with separate wheels. 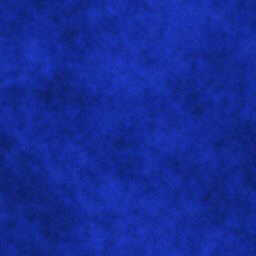 Price is $6.00 per kit. TT Scale Resin SW-7/9/1200 Sideframes! Flat back may require some filing for certain applications. $8.50 set. TT Scale 50' Gondola Kit!